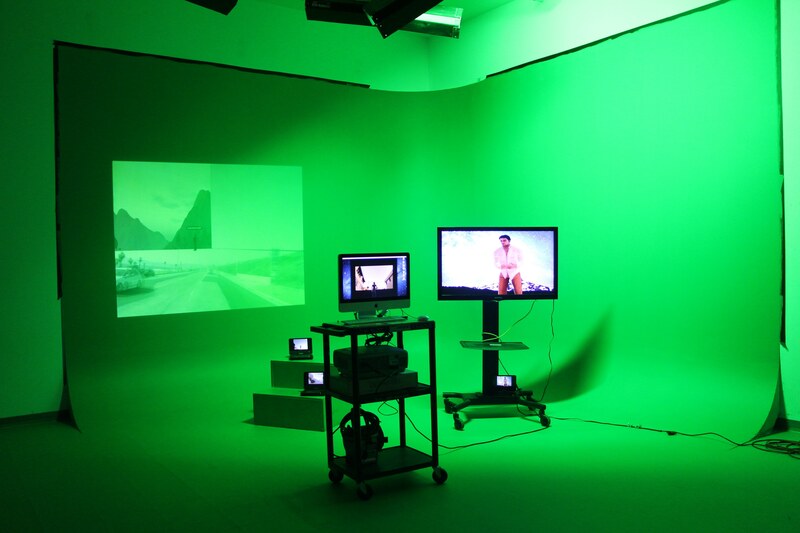 Multimedia Installation including two dvd players, a projector, tv cart, computer monitor, green screen cove. I approached this piece desiring to create an installation instead of simply a video projected on a screen. I want to tackle the space in which my art, in this case video, is viewed. I made three different videos using Second Life and some live footage I shot with a GoPro. The setting for this piece was the green screen corner of the lighting studio. I used five different monitors to display the videos. 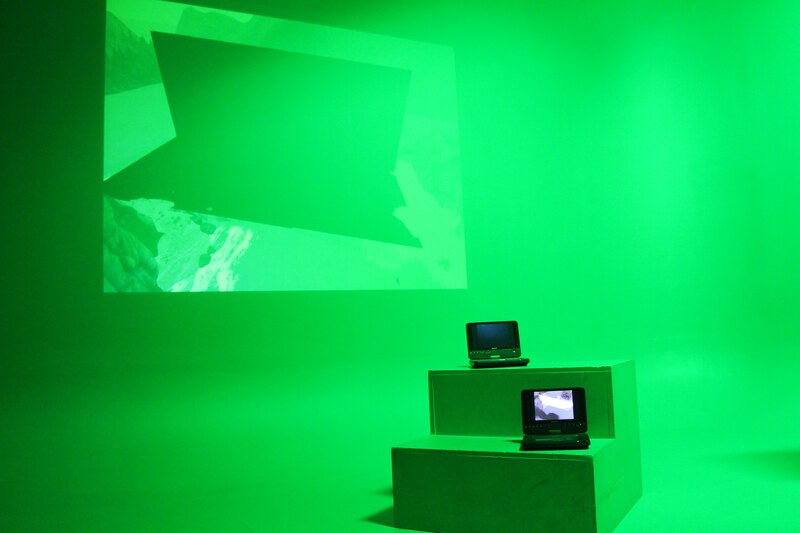 A television monitor, two small portable DVD players, and a computer cart that featured videos on both the computer screen and projected onto the florescent green wall. 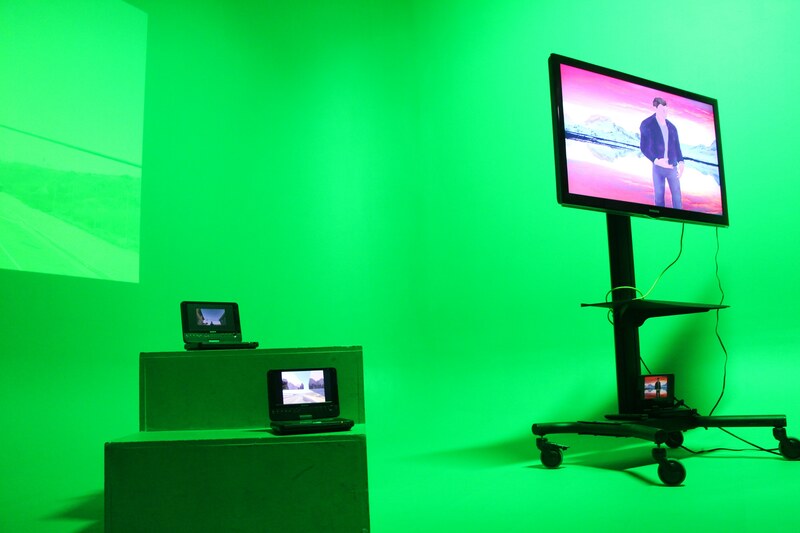 There is an overlapping of video footage that occurs in the installation. Every video shown is on a loop. Mimicking the inherent looping that is involved when continuously engaging and then disengaging with virtual reality. Two of the three videos are shown on more than one monitor. 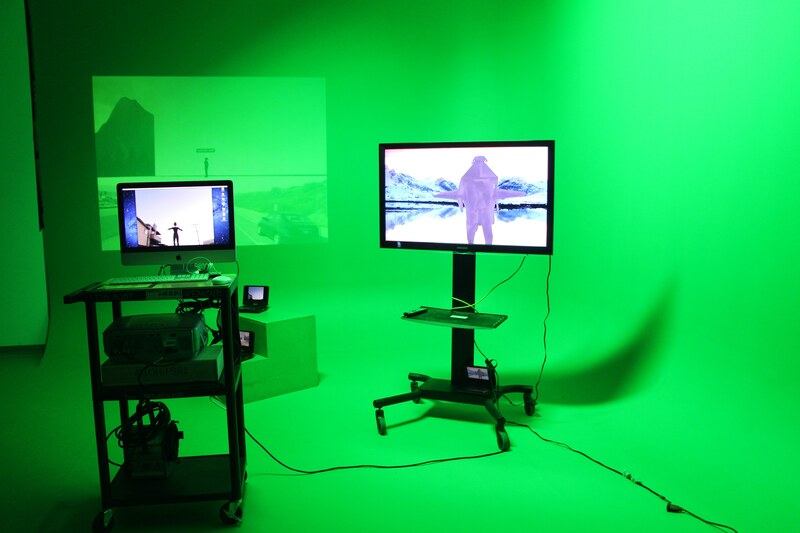 Each video attempts to involve the viewer in the inbetween space of physical reality and virtual reality. 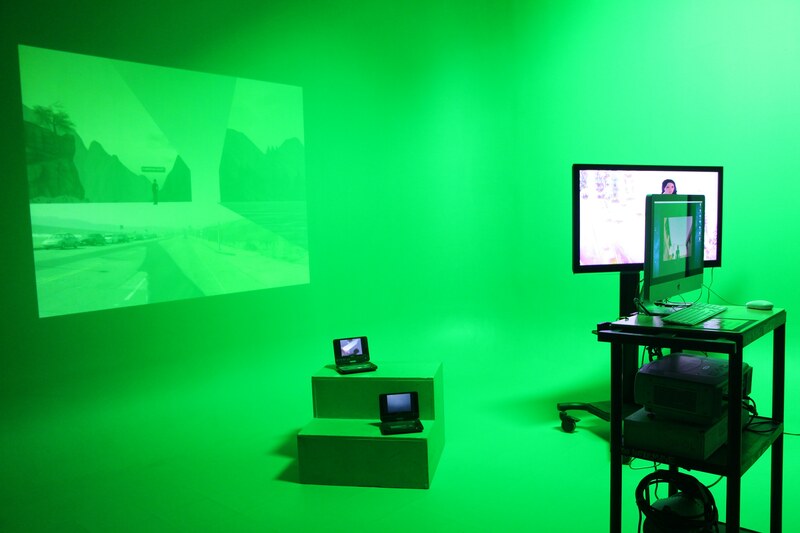 The green screen room as location for my installation is in direct reference to the green screen work in my videos. Also I wanted to set up a constructed space that could potentially be the backdrop for the documentation of the installation. And an aesthetically interesting space to force the viewer to move through the installation and have a separate interaction with each monitor.